According to CNNMoney, analysts are saying the disappointing results are from a combination of a week economy and home entertainment options, such as Netflix and the many other on-demand providers. Viewership on TV is dismal particularly among advertisers-coveted millennials – meaning bad news for advertisers. Today the studios are trying to find new ways to fill the theater seats again and compel people to go to the theater more often. Studios today are finding alternative ways to market movies beyond traditional methods like advertising on television and in newspapers. It is a search that is preoccupying Hollywood, anxious to reverse a slump in ticket sales. 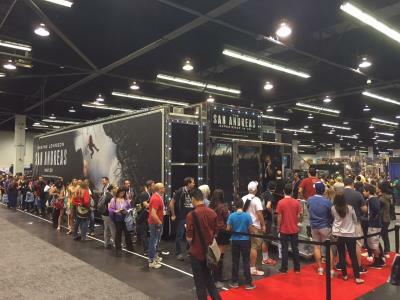 Studios like Warner Brothers and 20th Century Fox are using experiential mobile marketing and taking their message directly to the people by creating cross-country movie tours. Using a patented 53-foot double expandable trailer provided by Cinetransformer, a Miami based company; the trailer converts into a complete mobile cinema, providing a unique movie going experience and the perfect partner for a nationwide tour. The studio has capitalized on experiential marketing while combining traditional social media marketing. Studios like Warner Brothers understand that a good film loves to be shared by others and people put out that message quickly on sites like Facebook and Twitter making the process more valuable more immediate and more meaningful. The studio screens it’s feature films several times per day, and provides audiences with a special sneak peek in 2D, 3D or 4D ahead of the picture’s release to get the word out faster and more powerfully then ever before. "There's a lot of noise out there. You have to find fresh ways to break through. …, This allows us to take our movie to our audience," says Marc Weinstock, president of domestic theatrical marketing for 20th Century Fox. Even on the highway, the trucks serve as moving billboards. And their arrival in towns across the country does create a stir. "We are getting press at every stop," says Weinstock. "It becomes an event everywhere we go." Cinetransfomer recently announced it would be exhibiting at the upcoming Cinemacon tradeshow this April at Cesar’s Palace in Las Vegas. The event will attract movie industry studios and distributors from around the world. They are encouraging attendees to stop by and learn more about it’s unique state of the art mobile movie cinemas. Cinetransfomer developed and patented their 53-foot double wide expandable mobile cinemas and operates in the United States, Mexico and Brazil.